General objective of this report is to analysis Marketing implication on Popular Developers Limited. Other objectives are o identify factor affecting consumer behavior of PDL and to know how PDL find their target customers. Report also focus on to identified PDL’s price strategy. Finally find out PDL’s strengths, weakness, opportunities and threats. Here also observed the promotional activities of PDL. Real estate business us a vast growing area in today’s market .PDL is relative new entrant to this private dominant industry. Severe competition in the market compelled the real estate to strive for survive. As a consequence the idea of real estate marketing emerged. Working experience in PDL are a bit different because their marketing strategy is different than the contemporary other housing business. They put most emphasized on the relationship marketing than the traditional marketing. The most interesting thing is that they have only 45 employees for carrying out the marketing activities for large housing project. With these few employees they are taking ahead their marketing effort and importantly they make a significance progress in terms of selling their Apartments. Since the organization is a partnership firm, that’s why it has to conduct business activities by their own financial sources. Profits are a very big factor in the business because it is the only way to generate money to keep the business running. 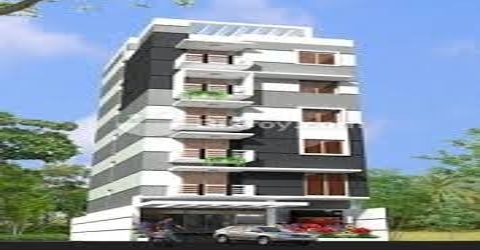 For this reason the organization completely depends on the selling of apartments. In the case of selling customers are the key to get the objective. So their business policy is to serve the target customers with full satisfaction and keep running the business in a legitimate way PDL relentlessly working for the achievement of its goal. The company is committed to provide a good environment for living and working .Popular successfully continue its works. Popular is running by a well organized team of proficient architect, skilled, structural Engineers, management experts and many professionals are engaged. A number of high qualified consultants from various disciplines also contribute a significant role to enhancing the capabilities of the company .the company also have R&D department to develop design structure and other facilities. Popular has shown its work properly and its growth is remarkable with a short time. For land projects its major competitor is the large project to address the housing problem. Though it’s an opportunity for the company due to the option for the customers having no access there for limited land .Even there is chance for being evaluating the projects. For its apartment the competitor is immense due to huge number of companies developing apartments around the PDL Project’s. Personal communication plays a vital role in marketing division. It is oral communication with potential buyers of a product with the intention of making a sale, so sometime I go with personal selling team for personal selling. Personal selling team presented sales force for the purpose of making sales and building customer relationships. The Marketing people of Popular are devoting themselves to communicate person-to-person which means personal selling. Under this division I learn how to influence the customers, how to talk to the customers. I really enjoy this division and l learns lot of tactics, understand prospecting new customers through advertising, references, relationship, marketing, personal selling etc. Table: Distribution of apartment house in different city areas. Land price + construction cost + margin is the widely used method of pricing followed by the real estate firms in the Dhaka city. About 75% of the firms using this pricing policy. It is to be noted here that land and construction cost is calculated at the cost price. That why, PDL charge higher margin under this method and that ranges from 75% to 100%. Ascertaining the cost of construction per square feet including the land price is another method used in fixing the selling price of the apartments. Thus the prices of apartments vary with its size. At the moment PDL using these methods have been found selling the apartment @ TK 2600-3500 per square feet. This method is getting popularity and followed by about 17% of the real estate firms. Under this method PDL can face the competitive situation effectively. Price escalation with land and construction cost is a method followed by only 8% of the firms in the Dhaka city. In this method the firms charges relatively low percentage of profit. Land price increased tremendously in Dhaka city. Very quick decision making capability. Lack of motivational program for the employees. Very few evaluation procedures for the employees.